As I mentioned in a blog post last week, I attended a Q&A with Chef Cat Cora at Macy's in Union Square hosted by the Macy's Culinary Council. 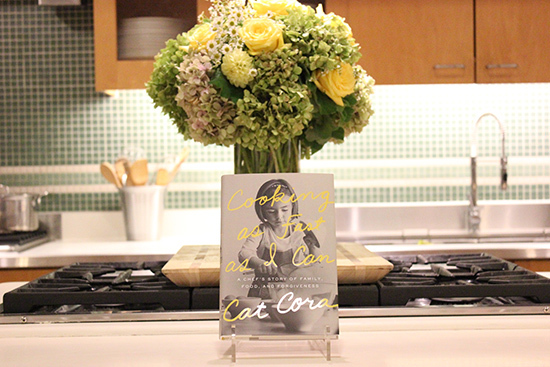 I had seen Chef Cat Cora compete in an episode of Iron Chef, and it felt exciting to meet the first female Iron Chef winner and to hear more about her memoir. 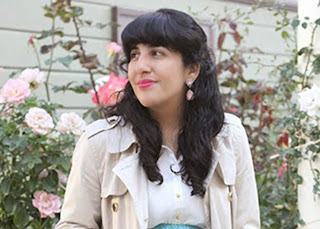 Details of her book were discussed, and one vivid description was of her first kiss where she described herself as a human sparkler. 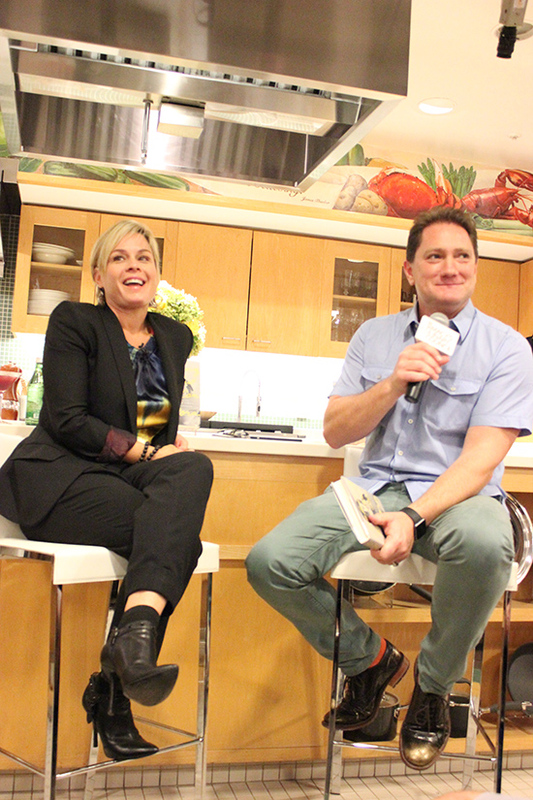 What struck me most from the Q&A with Cat Cora was the underlying message of her book "If I can do it, despite all the adversity, you can do it too." 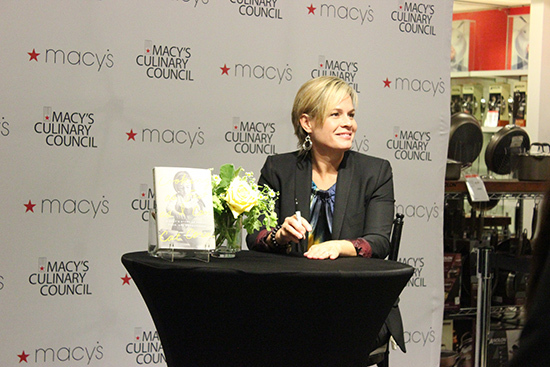 Chef Cat Cora is a positive female role model and is an example of what hard work, dedication, and perseverance look like. Her book sounds fascinating and this was a great way to be introduced to it. 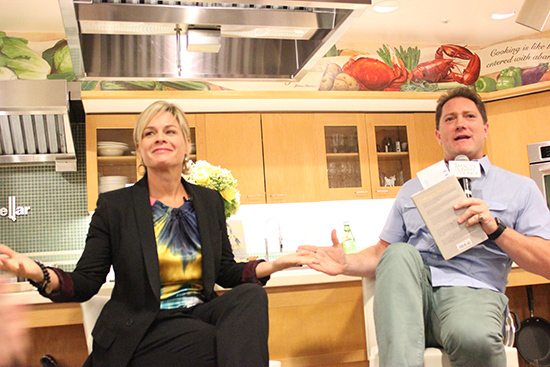 During the event, we were given some bites and recipe cards of the items courtesy of Chef Cat Cora. I had a Greek Cinnamon Stewed Chicken (which was amazing and seasoned really well) and a non-alcoholic Pomegranate Martini. I've decided to share the recipe with you since their blood red color may be perfect for a Halloween party and can easily incorporate 1 part of Vodka. In a martini shaker, combine all ingredients. 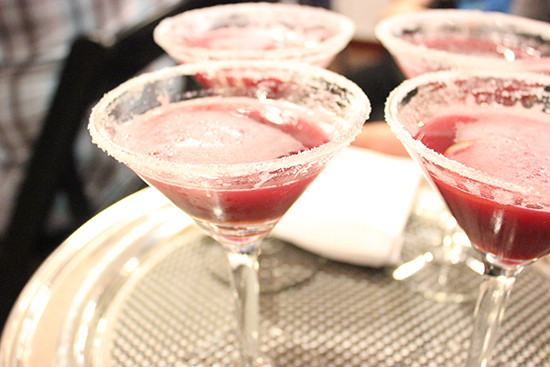 Shake well and strain into chilled martini glass rimmed with sugar. Garnish each glass with lime wedge. Hope you enjoy this recipe and let me know if you have a favorite recipe by Cat Cora!